Too girly for your average bronie? Perhaps. I mean, we ARE talking heels here. But I’ve seen you Pony boys do weirder. 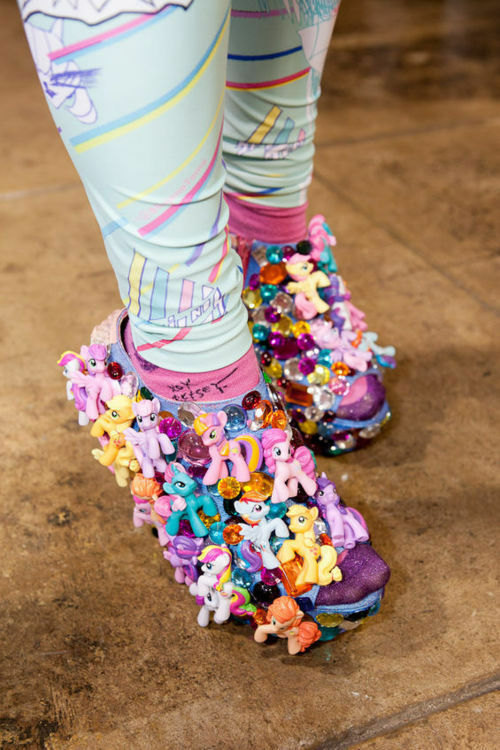 These wedges have been decked out in ponies, gems and fruits; the perfect storm for conspicuous fagganitity. You down with MLP? Yeah, you know me.